This is the one product that always stays in my bathroom and I always have to repurchase it when I run out of it. This cleansing water contains Micelles which acts like magnets, to help gently lift away makeup and any impurities from the skin. There is no need to rub really hard to get the makeup off and you don't have to rinse your face once you have used it (perfect for people who can't be bothered to take of their makeup at night, like me)! 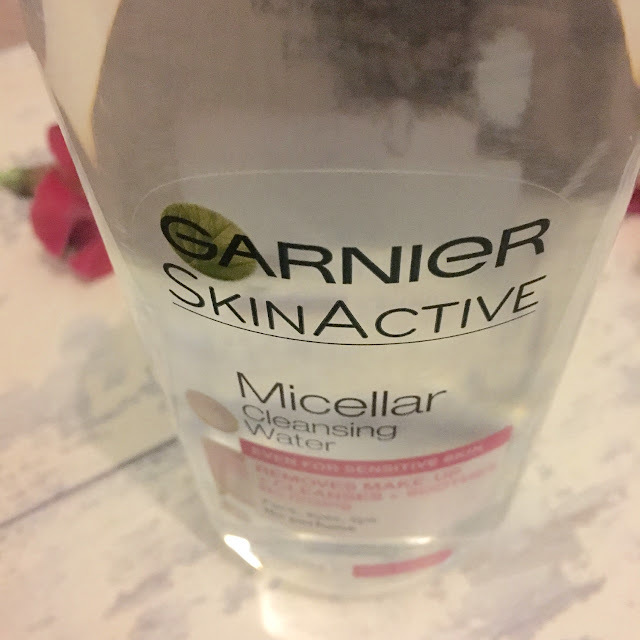 I absolutely love any type of Micellar water and have been using it for a year now to help take off any makeup at night, as it is much better than taking off makeup with wipes. Also, I will use this product every night even if I haven't been wearing any makeup because it will remove any dirt and impurities from my skin that have built up over the course of the day. Plus I will also use this in the morning before putting makeup on just to make sure that no dirt has built up over night, and so my makeup will apply flawlessly. 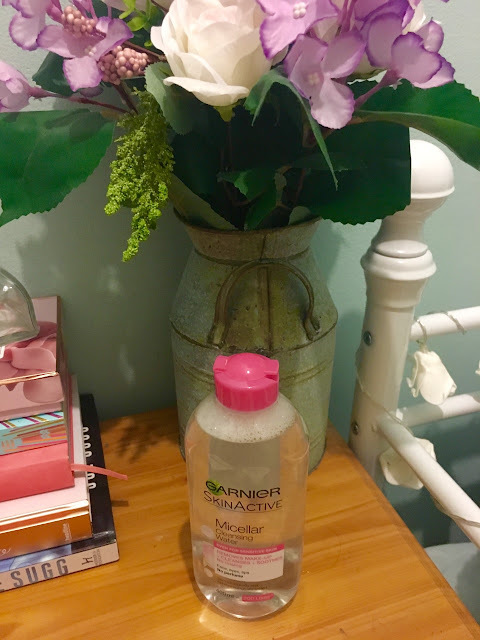 What I love about the Garnier one is that you can get it in 400ml which will last me a couple of months at least, but then I will also buy it in the smaller size for when I am travelling. 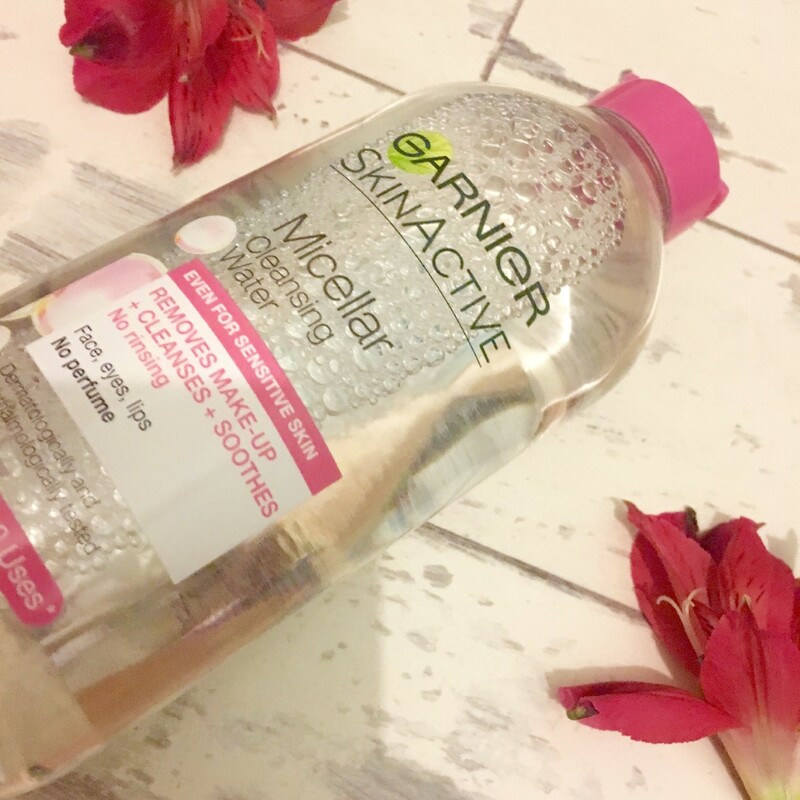 I have tried other brands of Micellar Water and some will do absolutely nothing and cost double the price of the Garnier version. Therefore, this is incredible and it is so easy to use; you only have to put some of the water on a cotton pad and gently wipe all across your face, including the eye and lip area to remove any makeup and impurities. It also cleanses the skin, and soothes the feel of the skin as well as hydrating in one simple step. I absolutely love how soft this leaves my skin feeling and it is also suitable to use around the eye area which is something you want when you are removing makeup, especially eyeshadow and mascara. I have found that this product works incredibly at removing stubborn mascara, like They're Real, when most makeup removers will really struggle. 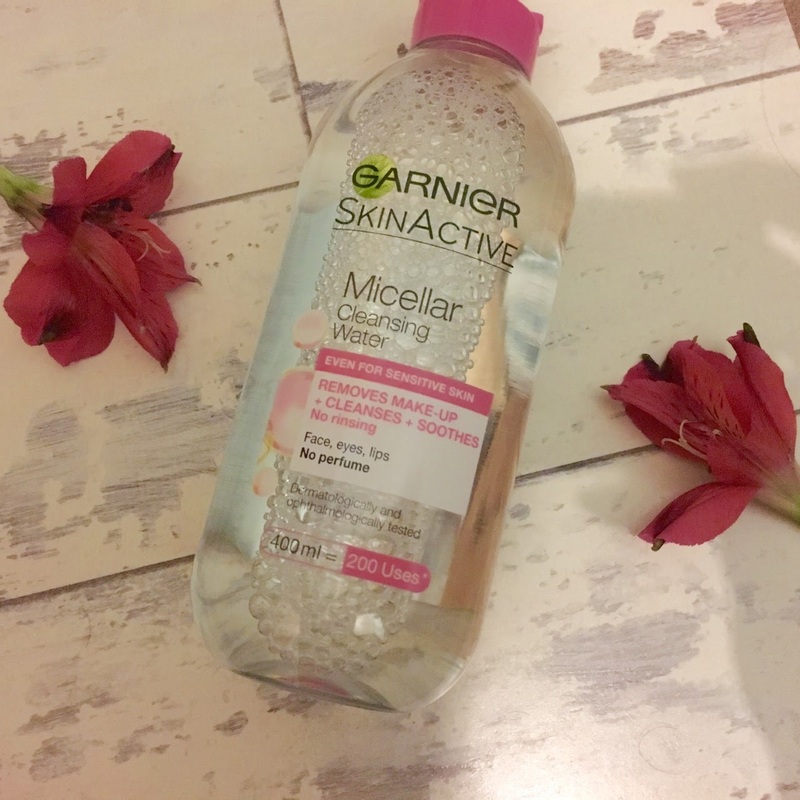 This Micellar water also has no perfume in, so is incredible for all skin types but also for some sensitive skin. 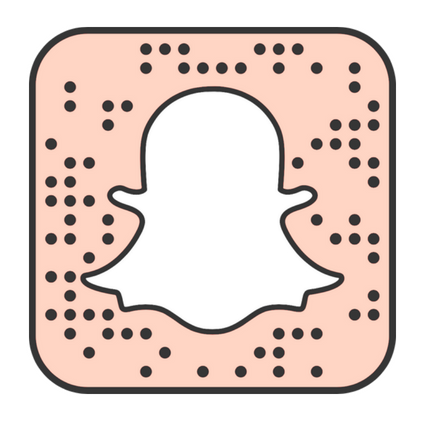 This is just a perfect product to have kept in your bathroom and once you have started using it, you won't be able to live without including this step into your everyday routine.